This silver business card holder has a polished silver finish throughout that can be engraved on both sides. The high polish shiny finish really looks great especially when customized with an engravement. 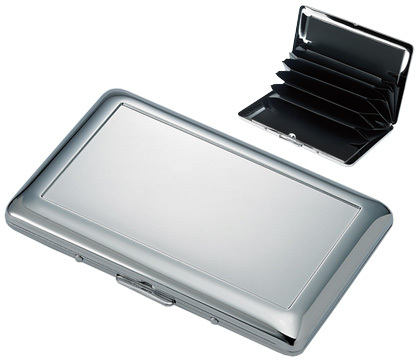 Inside the business card holder is a separator to keep your business cards, credit cards and other important items neatly separated.